Welcome Room, Stop in and say hello! Just thought I should stop by here and introduce myself. I'm 30 years old, live in the Netherlands and Mariska Hargitay is a huge example for me (and I'm sure to all of us). Her work is so inspiring! I was lurking here a lot before, but mainly posted on svufans.net. However that seems to be down now and since the current contract perils, I needed to vent somewhere. I hope to have a good time around here! Location: Dallas, Texas USA GO Cowboys! Hey Cayenne! It's great to see you here...Welcome to our little family and vent away! Welcome to the Board, Cayenne. "Work hard; take chances; and be very bold!" - - Quote by Vanessa Redgrave from Julia. "We exist because someone remembers us - - not vice versa." - -Quote by Caye in Princesas/Princesses. "I carry your heart with me; I am never without it;I fear no fate;I want no world and it's you are whatever a moon has always meant and whatever a sun will always sing is you..I carry your heart. "- -Poem by ee cummings. Hey Cayenne, Welkom aboard! I do remember you from SVU fans, great to have you here! Limitations live only in our minds. But if we use our imaginations, our possibilities become limitless. And i dreamed i was on vacation because i like the way that sounds.. Welcome here oftewel welkom hier..
Nice to see a other face for the other board and from Holland..
Sign & avi made by myself.. Welcome to the board Cayenne. Glad you joined our little family. You are stronger than you think you are. Keep pushing forward, never give up on your dreams, and don't let anyone stop you. Have a wonderful time here!!! Thank you all! (Bedankt!!! ) So many nice people here and also quite a lot from Holland! apple, I come from Noord Holland! 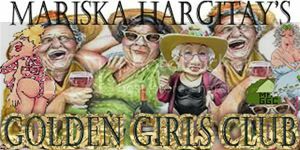 It's always niceto have Mariska's fans in here sofeel at hom and post away and of course have FUN!!! "It's a life's journey of finding ourselves, finding our power, and living for yourself not for everyone else."